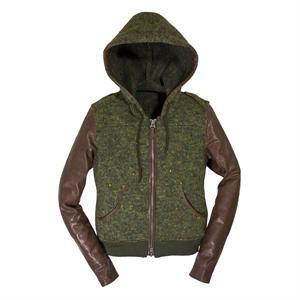 Made for the girls, the Tweed Sweater Hoodie features Italian knitted wool construction with vintage soft leather sleeves. 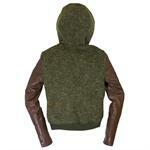 A marvelous fusion of tradition and modern looks, the hooded sweater comes designed and made in America. 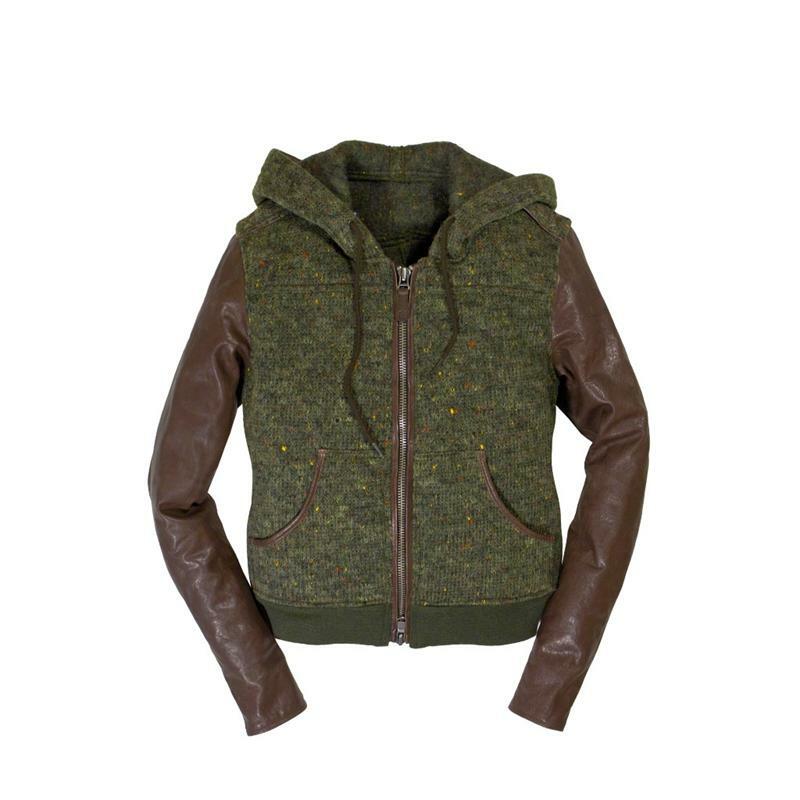 It is an ideal wear for fall and winter, and sports an easy 2-way zip which provides ultimate comfort by letting you open the jacket from the waist. The Tweed Sweater Hoodie comes with knit waist & cuffs from a wool nylon blend, and two front pockets.